An International Cricket Council committee has suggested that the umpire Decision Review System should be rolled out for all Tests and the World Cup. The ICC's cricket committee, chaired by ex-West Indies captain Clive Lloyd, said the system should be used "as soon as possible in all Test series". The system has been trialled since 2008 but has been plagued with controversies and technological problems. The committee also suggested the system be used for next year's World Cup. However, broadcasters ESPN Star Sports must agree to implement the system for the 50-over showpiece which will be held in India, Sri Lanka and Bangladesh next year. The review system was introduced as a trial in June 2008, allowing players to challenge on-field umpires' decisions and refer them to the third official. Teams were initially given three opportunities per innings to contest an on-field decision, losing a challenge for an unsuccessful review. The number of unsuccessful challenges allowed was then reduced to two per innings following a consultation review by the ICC. One of the most contentious issues with the system has been the reluctance of some home cricket boards to pay for the necessary infrastructure supplied by host broadcasters, while some series have not had access to certain technologies. The ICC moved to address the issue following a meeting of all broadcasters and technology providers in Dubai in an effort to standardise the use of technology. "The committee has confirmed that we are on the right track with DRS and we want to continue with DRS in its current format in the sense that we want the players to be initiating the review," said India coach Gary Kirsten, one of the 13 current and former players and umpires to attend the two-day meeting at Lord's. "We accept that we want to be a bit more consistent on it. "We want DRS to be used in all Test series. That will have practical implications and it will not happen tomorrow but we want it to happen as soon as possible." 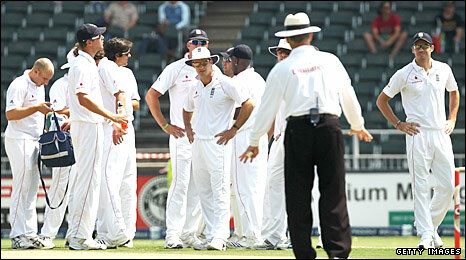 The various trials of the system, including England's winter tours to West Indies in 2009 and South Africa in 2009/10, have provided several controversial incidents, the most noteworthy of which occurred in the fourth Test in Johannesburg in January. The tourists referred a caught behind appeal against Graeme Smith off Ryan Sidebottom and, although a noise was clearly audible on television replays, third umpire Daryl Harper said he could not hear anything decisive and concurred with on-field umpire Tony Hill's original not out decision, sparking dismay among England's players. The incident provoked the ICC to order an investigation, led by Lloyd, to iron out the system's various inconsistencies. The cricket committee also agreed a "minimum standard of technology" should be adopted, which includes ball-tracking technology like Hawk-Eye, in the third umpire's room. Ball-tracking technology has been used in part during the review trials - showing the ball up to the point where it impacts with bat, pad or batsman. However, the predictive element of such ball-tracking technology - showing whether the ball would have gone on to hit the stumps - has not been used until now as it was considered to be unreliable. That initial recommendation has now been overturned. "When it comes to the need for the third umpire to have access to the audio from the stump cam, then it's not good enough just to say he needs to have access from the stump mic, we need to have clarification on volume levels - they all need to be sorted out so that we don't have a repeat of what happened in that England-South Africa series," added Kirsten. Other recommendations included allowing umpires the option of using the system to confirm the legitimacy of a delivery when a wicket falls, as well as specifying a time limit of 15 seconds for teams to call for a review. The committee also agreed to further scrutinise the law that permits non-strikers to back up too far when the bowler is in delivery, making up valuable ground before the ball has been bowled. "ICC cricket committee agreed that batsmen trying to steal ground when the bowler is running in to bowl should be discouraged," said a statement. "They will look at regulations that require a batsman to remain in his crease until the bowler's front foot lands." Kevin Pietersen's infamous switch-hit is also under inspection with the committee allowing bowlers the right not to bowl if the batsman changes his grip before entering his delivery stride. "Should the bowler see a batsman change his grip or stance prior to the delivery stride the bowler can decide not to bowl the ball," added the statement. Kirsten further elaborated this recommendation. 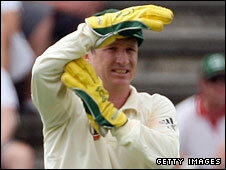 "The batsman must wait until the last second to switch his hands," said the former South Africa opener. "If he did it in a premeditated manner then the umpire could give him a first warning and the second warning could end in a penalty of five runs."